What makes the whole thing weirder is that Richard Hayman served for 30 years as the Boston Pops’ conductor. This is your basic yard sale 25 cent find, but you’ll pay a few bucks online if you really want a copy. 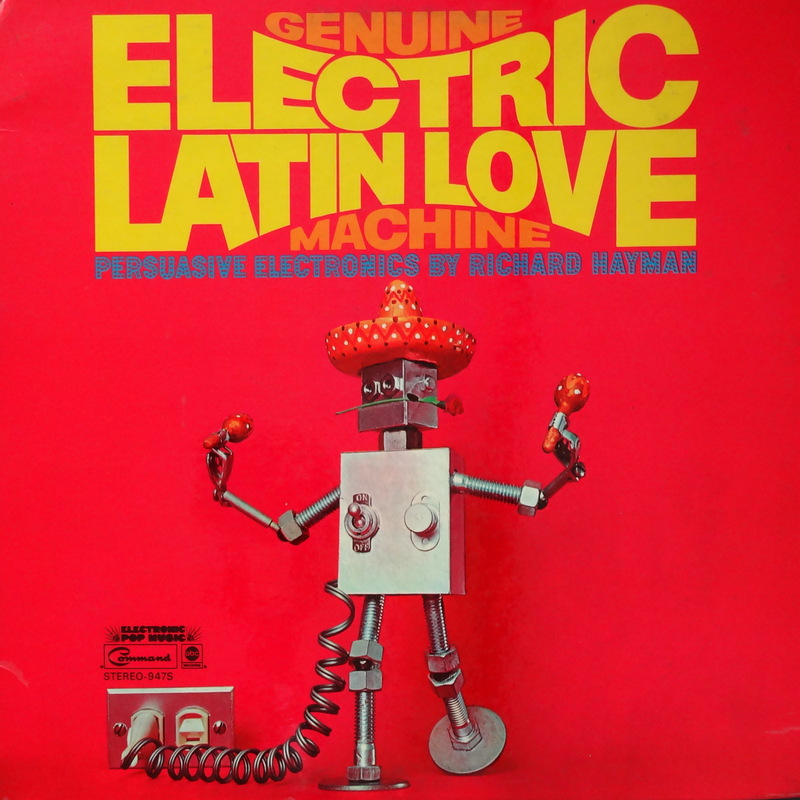 Here’s the real question: Does the Genuine Electric Latin Love Machine belong in the Bad Album Cover Hall of Fame? I’m listening. Tough decision on BACHOF!! 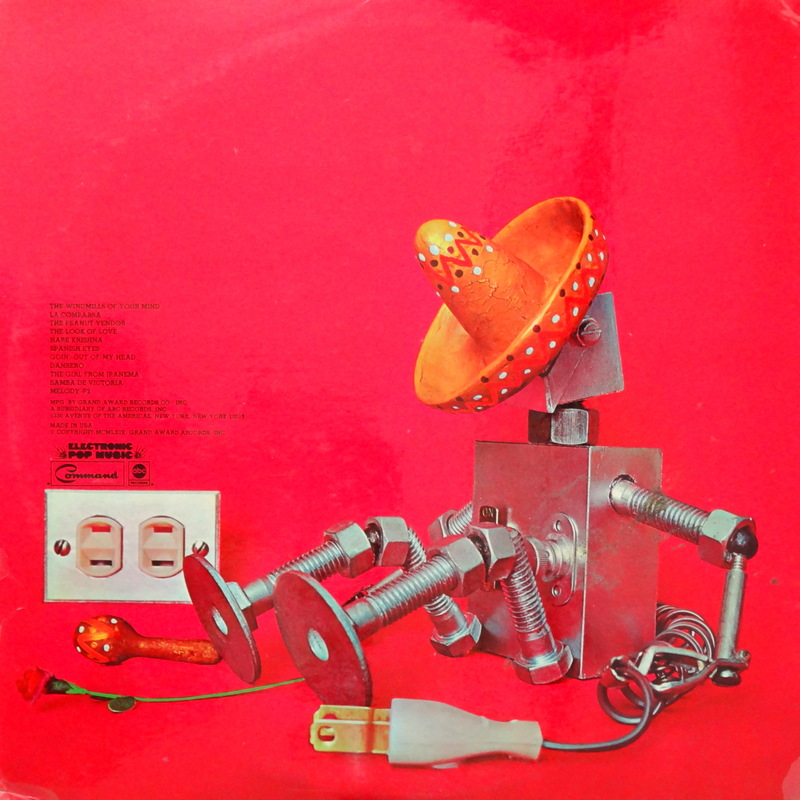 I am a huge fan of robots wearing sombreros and playing the maracas, so I lean towards genius, but obviously I am very biased.